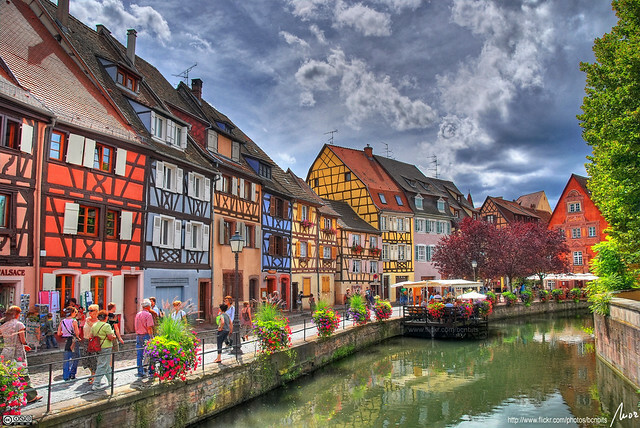 Colmar - France | Flickr - Photo Sharing! Mafr-Mcfa, MarcelGermain, and 171 other people added this photo to their favorites. love your technique. the hdr is not overdone, but very effective. WOW! I must learn how to do this process! Un altre al explore!!! ,si senyor, t'ho mereixes!!!! what a shot! what amazing colors!!! They are so colorful it is hard to believe that are real. Looks like a scene from Disney's "Its a small world" ride at Disney World. Beautiful architecture! Love your color and HDR work! Hi, I'm an admin for a group called Caught My Eye (Invitation Only), and we'd love to have this added to the group! A place for every photographer to visit!!! Ets la canya, sempre li dónes el tractament adequat. Thank you for sharing this under Creative Commons license. I have used it in my Travelogue of an Armchair Traveller as well as in a similar post in Google Earth Community Forum and have given due credit to you. The travelogue is a non-profit ads free blog which I have created as a pastime and I do not derive any monetary benefit from it or from Google Earth Community Forum which is also ads free.